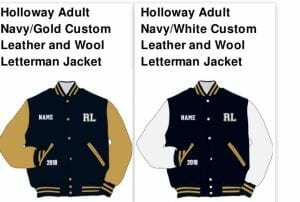 Student Council has reached out to Universal Athletic to get a deal on Letterman Jackets. Through January 31st, jackets can be ordered online at a discounted price, https://rljackets.itemorder.com. There are two color options available. Students were able to try on jackets last week to check sizing and those jackets are still available if you need to confirm sizing. The deal is only through the 31st so get your order in! After you place your order, please give Mrs. Belinda your RL letter so it can be sewn on your new jacket. If you have any questions, please ask Mrs. Belinda. This will be my ninth year at Red Lodge High School. I earned my Bachelor's degree from Lake Forest College and majored in Biology and minored in Chemistry and Theater. I also have a Master's in Education from Montana State University in Curriculum and Instruction. Prior to becoming a teacher, I worked for the Bureau of Land Management/Forest Service as a Wildland Firefighter and a Geographic Information Systems Specialist, as well as the Wyoming Game and Fish Department as a Biologist. My diverse work history allows me to bring real world applications and experiences into the classroom, which I hope my students appreciate. I teach Earth Science, Environmental Science, Advanced Biology and Chemistry. In addition, I also advise Student Council and the Green Team and coach C squad volleyball.